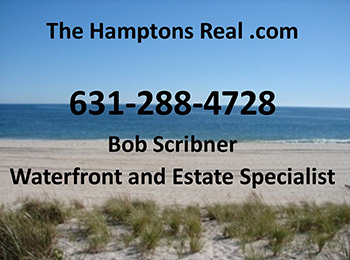 We have more good news regarding the Hamptons Real Estate market trends! Long Island’s East End was hit hard by the real estate downturn, but not by Hurricane Sandy, which largely bypassed the area. Thanks to that stroke of good luck — coupled with the improving economy — the popular vacation spots in the Hamptons and North Fork are now seeing a definite rebound from the post-financial crisis slump. This month, The Real Deal asked residential brokers for the lay of the land on the East End. Hamptons sales activity leaped 29 percent between 2011 and 2012, according to the one agency, and brokers said they are now seeing bidding wars as the number of homes on the market dwindles. In another positive sign, developers are once again building multimillion-dollar spec homes. Sales prices have now stabilized, brokers said, though they are still off 15 to 20 percent from their boom-time highs. The median price in the Hamptons for the fourth quarter of 2012 climbed slightly from 2011 to $1.81 million, according to them. As for the upcoming summer season, brokers said rates for rental homes are roughly on par with last year, and would-be vacationers started looking earlier than usual. But not to worry — “there still are plenty of great homes available for rent” this summer, said a Southampton broker. In the basic application of economics, we can see we are at that golden point of equality for buyers and sellers: the right amount of demand with the right amount of supply. Given the nature of the real estate market, the Hamptons Real Estate in particular, it can be surmised that this is temporary and it will only be a matter of time before an inevitable price increase across the board.